Give your data network a voice by delivering maximum flexibility and the opportunity for easy, cost effective growth with NEC UNIVERGE NEAX 2000IPS. Voice over Internet Protocol (VoIP) is the future of business communications, and the UNIVERGE NEAX 2000IPS offers mid-sized organisations the ability to embrace VoIP in new and existing sites. If you are currently an NEC customer, you can deploy IP capability at any level. In many cases, it is as simple as plug and play. If you are a new customer, you can purchase IP-ready NEC PBX systems that leverage existing network infrastructure to maximise return on existing investments. Wherever you want to start, implementing an NEC communication solution delivers you all the benefits of IP telephony, plus the reliability of today leading voice technology. The UNIVERGE NEAX®2000IPS offers business, industries, government agencies, hospitals and hotels the ability to access an extensive array of information processing and management services by serving as the central controller of an integrated information network. The UNIVERGE NEAX®2000IPS provides peer-to-peer IP CCIS (Common Channel Inter-Office Signaling) capability while maintaining the full feature set available with the TDM switched CCIS. Peer-to-peer CCIS connectivity also reduces PBX hardware costs by eliminating the need for CCIS trunk interface cards. CCIS is built on the Signaling System 7 (SS7) call control system, commonly used in today’s global carrier networks. 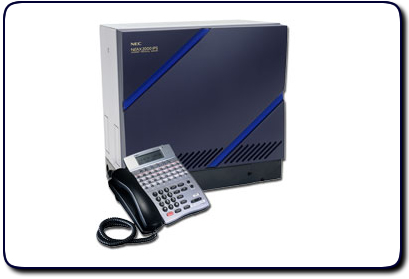 This functional and extremely flexible “intelligent network” capability allows two or more UNIVERGE NEAX telecommunications systems to be networked together to provide feature transparency and to centralise many important telecommunications functions such as attendant consoles, call accounting/billing systems, voice processing systems, management systems and trunk facilities, to name a few. Seamlessly network with branch offices or remote sites, while maintaining the perception that you all work from one location. Your business will perform as an efficient, private network with features like calling number/name display, automatic call back, message waiting and call forwarding functioning at all sites. This feature can save you thousands on call costs each year by automatically selecting the best and cheapest carrier route (PSTN, ISDN, Tie Line, etc) for your call, at any time of day. Expand your messaging capabilities with accurate, 24-hour messaging services, message indication lights, message delivery and unlimited mailboxes. The live record feature enables conversations to be recorded directly to a mailbox if required. Multiple tenants can share the telephone systems, with each tenant restricted by programming to the use of their own operator, extensions and trunks for incoming and outgoing calls. You can even apply different on-hold music and announcements for each tenant. The mobile office is a reality. Your extension calls can be forwarded automatically to your mobile phone, home phone or any other number that you request. This function automatically directs incoming calls to one or more groups of agent extensions. When all contact centre agents are busy, waiting callers can alternatively hear pre-defined messages or overflow to voicemail or selected destinations. A real-time management system tracks the status of calls and the efficiency of the system. Peripheral application processors allow LAN and Internet connectivity, screen pops, skill-based routing, automatic call back and outbound call placement and campaign management. Make the choice between a fully featured digital operator console or a PC screen-based integrated console with an integrated directory. Program announcements to direct your incoming calls. An automatic attendant function can advise callers on which digit to dial to access a particular department or service, without operator assistance. Voice guide announcements can also be given when setting or cancelling telephony features. Liberate yourself from the desk. 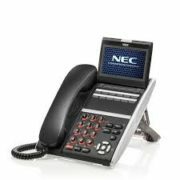 NEC UNIVERGE wireless systems give you the functionality of your UNIVERGE NEAX®2000IPS anywhere that you connected to your Wi-Fi network. Innovative modular hardware and software design allows the UNIVERGE NEAX®2000IPS to efficiently serve from 64 ports up to 1024 ports. Modularity gives the system the ability to expand from its minimum configuration to its maximum capacity as the need arises. This expansion capability allows the system to grow in a cost-effective manner as the user requirements expand. Your initial system investment is protected through easy to implement growth capability. The UNIVERGE NEAX®2000IPS, UNIVERGE NEAX IPS-DM and UNIVERGE NEAX IPS-DMR provide flexible numbering assignment to meet multiple forms of network integration service. One of the benefits of the UNIVERGE NEAX®2000IPS, UNIVERGE NEAX IPS-DM and UNIVERGE NEAX IPS-DMR is investment protection. Built-in long-term migration capability ensures that your system grows along with your business. Whether your business needs call for short-term enhancements or long-term growth, the UNIVERGE NEAX®2000IPS, UNIVERGE NEAX® IPS-DM and UNIVERGE NEAX® IPS-DMR can be adapted with minimal cost and effort. Slash call costs associated with network administration and network carrier charges. Built-in power features like a Pentium®-equivalent AMD processor, flash-ROM and 1024 time slots help departments, strategic work groups and the entire enterprise operate more efficiently. A low power-consumption design keeps costs down, while a commercial power back-up unit keeps operations on-line. Universal cabling and ports provide network flexibility, while a totally non-blocking system ensures full traffic availability. Build on existing infrastructure to maximise use of the data platform you already have, and lay the foundations for a secure future. UNIVERGE NEAX®2000IPS systems offer many productivity enhancing features, such as automatic call distribution, calling number and name display, conferencing, soft keys, voice mail, unified messaging, speed dialling and many more. Simply and efficiently add new terminals and applications to your network as you need them, and watch your communications network grow with your company. Louisville Let your staff roam! Moves, adds and changes are no longer difficult. At the press of a button, employees can access their usual extension profiles wherever they are. IP telephony uses compression techniques that make more efficient use of bandwidth, which makes more of your network available for other activities. By employing state-of-the-art technology in the system circuitry design, NEC has been able to reduce power consumption. As a result, the current consumption of the UNIVERGE NEAX®2000IPS systems has been reduced to optimal levels This energy-saving system design allows for the use of much smaller capacity main power equipment and air-conditioning equipment, lowering the monthly recurring environment costs. In parallel with the energy savings, the space requirement for the system has been reduced by two thirds when compared with that of a conventional electronic PBX system. The UNIVERGE NEAX®2000IPS product suite is designed and manufactured to provide a high level of system reliability. UNIVERGE NEAX®2000IPS systems are designed with features such as remote maintenance, distributed call processing, error-correcting memory, battery back-up and automatic system alarm indications for ensuring the level of reliability your business demands. The UNIVERGE NEAX®2000IPS can also be equipped with dual CPUs as an option to ensure even greater reliability. Because the system is constructed with high quality components, reliability is high. However, if a minor fault occurs, the self-diagnostic programs will detect the fault and, in many cases, will automatically make the needed corrections. If the problem is beyond the internal correction capabilities of the system, the self-diagnostic programs will automatically log or print the nature of the fault and the involved unit is identified on the maintenance interface equipment. The faulty plug-in unit can then be quickly replaced with little or no interruption of service. Because UNIVERGE NEAX®2000IPS systems use a flash ROM to store the control program, performance enhancements and new features can be easily incorporated by simple changes in software*. UNIVERGE NEAX®2000IPS systems can be upgraded by using the most current software release and, when necessary, additional hardware. This means that the longevitiy of the system is increased, protecting your investment. * Some features will require additional Hardware, for example cards or servers. Green Energy Tips That Can Save You A Fortune! Need Advice On How To Use Marketing With Email? Try These Tips!